Head Hunters Beauty Salon has been a pillar on Water Street in Exeter, NH for over 30 years. 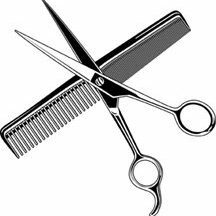 Conveniently located across the street from the Ioka Theater, Head Hunters has been offering a full menu of hair services for men, women, and children since 1980, as well as tanning, manicures and pedicures. Starting in 2018, Head Hunters will be expanding into spa services, offering full body waxing treatments, a variety of facial and skin services, and eyelash lifts, tints, and extensions. Owner Sue Rislove and her team invite you to come to Head Hunters (walk ins welcome!) and experience the outstanding customer service and high quality results that have kept business booming for decades.